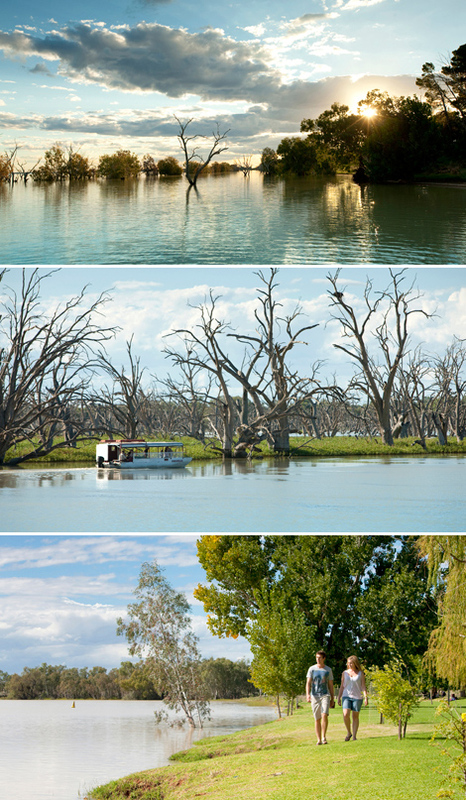 Attractions: Kinchega National Park, The Menindee Lakes System, The Darling River, Burke & Wills Campsite. Located 110 km from Broken Hill, this historic town is surrounded by lakes fed by the Darling River. A water-storage project completed in the 1960s now supplies water to Broken Hill as well as farms and orchards in the Menindee Area. The combined expanse of the Menindee Lakes holds more than three times the volume of Sydney Harbour when full. Water sports such as sailing, swimming and skiing are popular on the Menindee Lakes. Fishing opportunities are plentiful, with anglers targeting Murray Cod, Golden Perch and Catfish. www.visitnsw.com/menindee - NSW Destination Information.